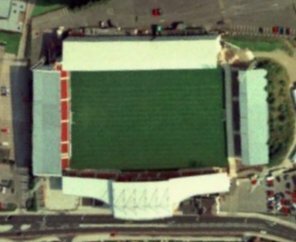 Take an aerial tour around Racecourse Ground (requires Google Earth). Take the A483 from Chester or Oswestry to Wrexham. Exit at the 'Mold' junction and then follow the signs for 'Town Centre'. The Racecourse will come quickly into view. 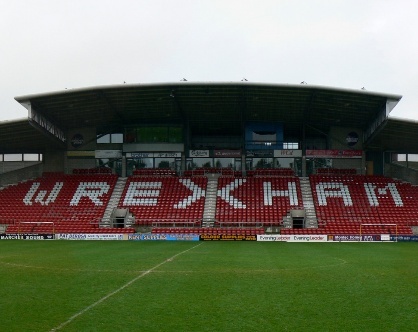 The nearest railway station to Racecourse Ground is Wrexham General station which is located directly next to the ground. 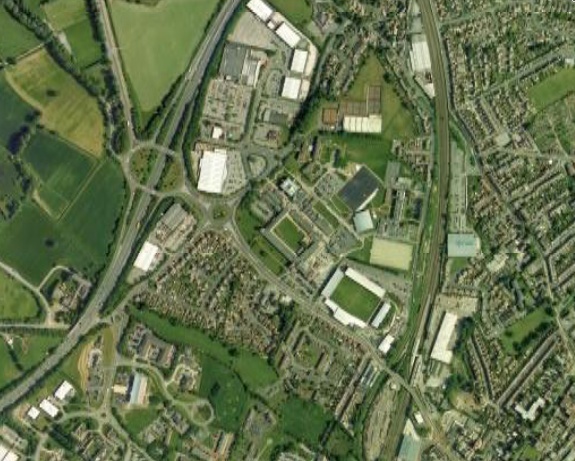 There is limited on street parking and also a couple of small private car parks near the ground. 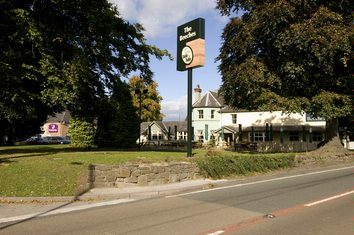 Email us to recommend any local attractions near to Racecourse Ground and we will list them here. 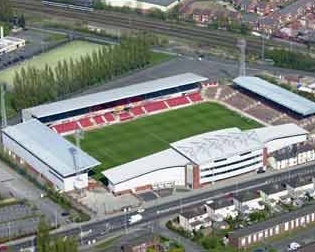 Email us to recommend any pubs and restaurants near to Racecourse Ground and we will list them here.